MAGTAGZ. supports the efforts of Project Planet, Best Green Hotels, Green Hotels Association, the American Public Health Association, the Leading Green Initiative and sustainable travel. Reusing linens and towels saves lodging owners money which helps keep prices low and also helps save water and can help in saving the planet. 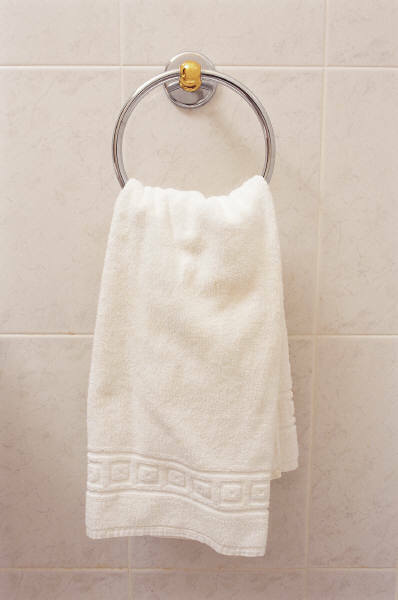 Reusing towels saves water, electricity, labor, detergent and replacement costs. When you add it all up it costs a hotel 85 cents per room per day. Three Magtagz costs a hotel $1.20 for an average guest stay of 3 people for 3 nights. If you supply your guests with Magtagz and the guests reuse their towels for the 3 nights you save $1.35 per stay per room. Over the course of a year the saving is $158.00 per room. If you have a 100 room hotel that is $1,580 in Savings - Plus your guest goes home with Magtagz bearing your logo - what better free advertising! A Hotel environment is the perfect place for MAGTAGZ to be used. Hotels have towels that are all the same color and many hotels encourage patrons to reuse their towel. After the maid comes in and rearranges the towels, it is virtually impossible to know which towel is yours. Using MAGTAGZ, your towel can easily be identified and reused without worry that you are using someone else's towel. MAGTAGZ has special bulk rates for Hotels. MAGTAGZ represent one way for Hotels to eliminate liability issues of a patron catching an infectious disease while in the Hotel through towel contact. Color code hand and bath towels. "This way everyone has their one color so family members don't swap towels and viruses, "